Following a hard-fought battle with cancer, math-rock talent Dan Wild-Beesley sadly passed away this year. The music scene is pulling together now to raise money for the hospice that cared for Dan and his wife Jessica Wild-Beesley for financial support. The Cleft man has left a golden legacy, so a night at Little Buildings on Saturday 15th December is being put together by Bad Owl Presents, Golden Ratio Agency, M4D SM4SH, Small Pond, Effigy, For Fans Of Bands, Buttonpusher and Portals, under the appropriate title One More Tour. There’ll be a screening of Cleft‘s last ever gig – their performance at ArcTanGent 2016, plus there’ll be live music from experimental Leeds trio Tall Talker, post-rock and metal from Dutch Elm plus a couple of surprises still to be announced. The math rock maestro has a great legacy, and this is the perfect way to celebrate it. 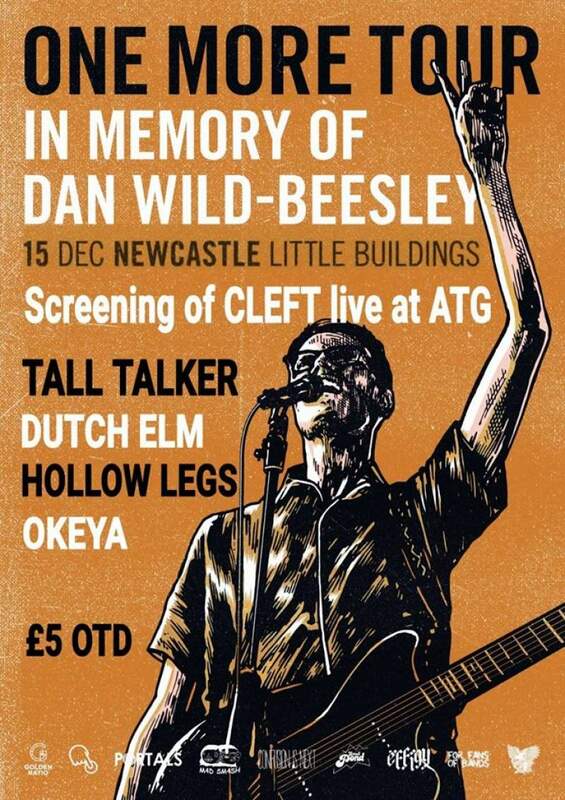 One More Time – A Tribute To Dan Wild-Beesley is at Little Buildings, Newcastle on Saturday 15th December.